Nestled in the rolling hills of the East Bay and part of the integrated communities known locally as LaMorinda (Lafayette, Moraga and Orinda), the quiet community of Orinda is the perfect alternative to the nearby bustling cities of Oakland and San Francisco. While the city is located near these urban areas, it has maintained a very intimate, small-town charm and boasts low crime rates and an ideal climate. The relaxed atmosphere provided by the rural landscapes, as well as the cultural benefits offered by the town’s proximity to these cities, makes the area a haven for affluent professionals. Dotted with multi-million dollar custom homes throughout its picturesque hills, the city is regarded as one of the most desirable addresses in the East Bay. 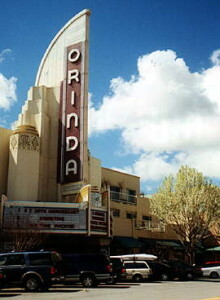 At the heart of town is Theatre Square, home to numerous shops and restaurants, as well as the historic Orinda Theatre which hosts the annual Orinda Film Festival. Between its natural beauty, outstanding location and magnificent residences, Orinda is quite a city and a wonderful place to call home.